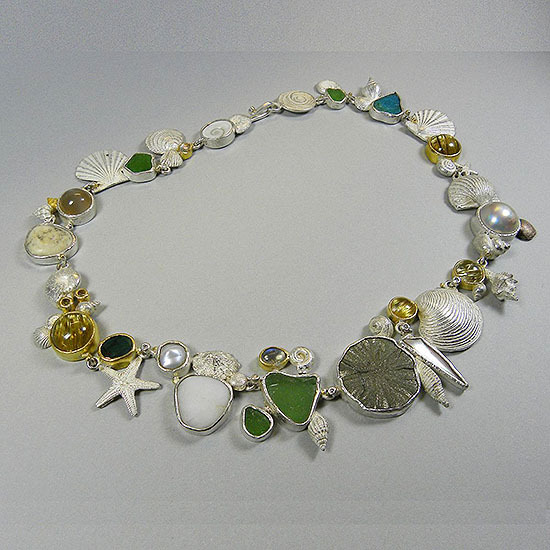 his year the Slavik Gallery is hailing the advent of spring with the exhibition MAGIC OF JEWELLERY ART, which is dedicated to the Austrian jewellery artist Jesus Elisabeth Gu. Defner, who died in the year 2017. Jesus Elisabeth Gu. Defner was one of the pioneers of contemporary art jewellery in Austria. Having studied under Professor Eugen Mayer – who himself studied under Josef Hoffmann – she combined traditional Jugendstil forms with innovative goldsmith’s techniques and in the course of her long creative career developed a distinctive and expressive formal language that reflected her great love of and respect for nature. The world of Jesus Elisabeth Gu. 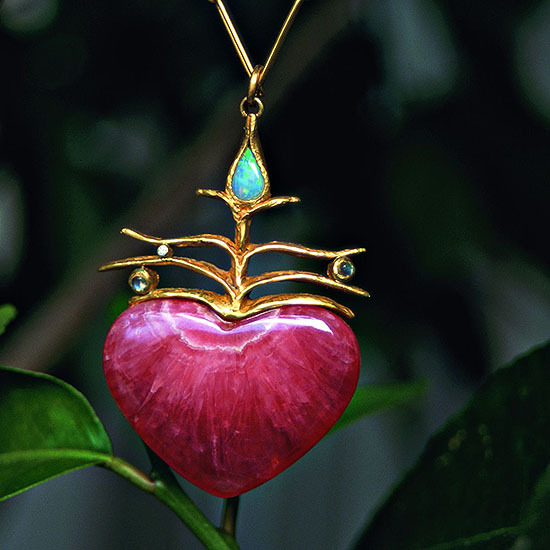 Defner is many-layered and far-reaching, a fascinating cosmos that owes its special character to the healing qualities of plants, stones and magnetism and the messages conveyed by her unique works of jewellery art. In the exhibition, a representative selection of Defner’s magnificent oeuvre will be framed with works by Heidemarie Herb, Helfried Kodré and other artists of the Slavik Gallery.